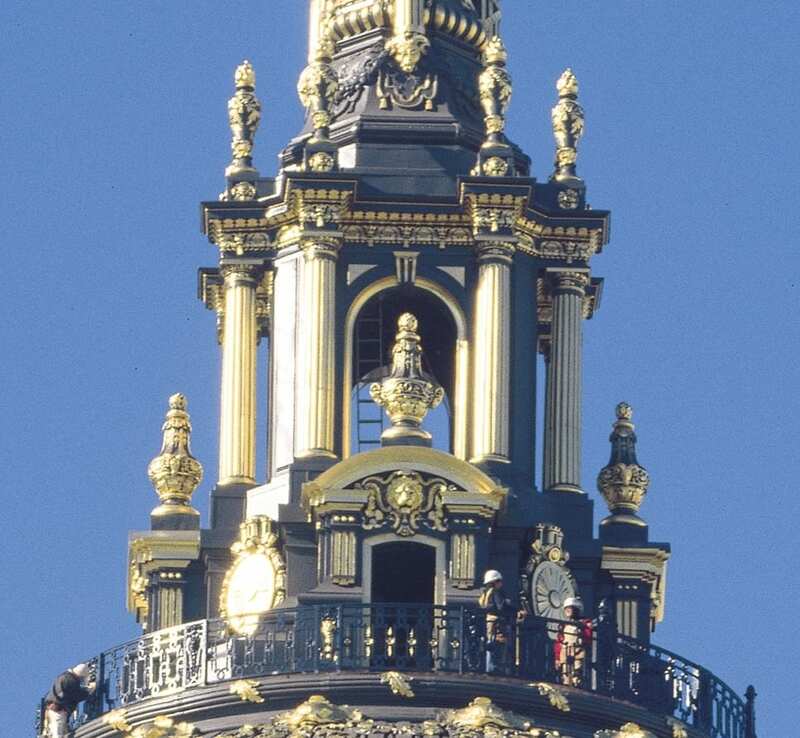 Exterior Gilding | John Canning & Co.
Gilded domes dot the country, highlighting important landmarks of government, entertainment, worship, and industry. With decades of experience throughout the country, Canning Co. specializes in traditional gold leaf gilding techniques that are rooted in the timeless heritage of European craftsmanship. We are well-versed in using traditional oil gilding, and the proper preparation and finishing to achieve lasting brilliance. 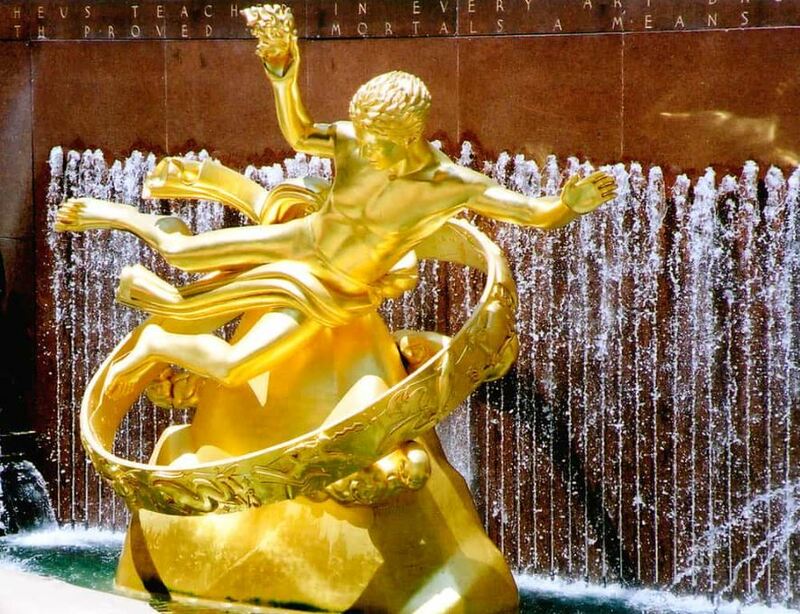 We restored the Prometheus Statue, a National Historic Landmark located in Rockefeller Center using gold leaf gilding. 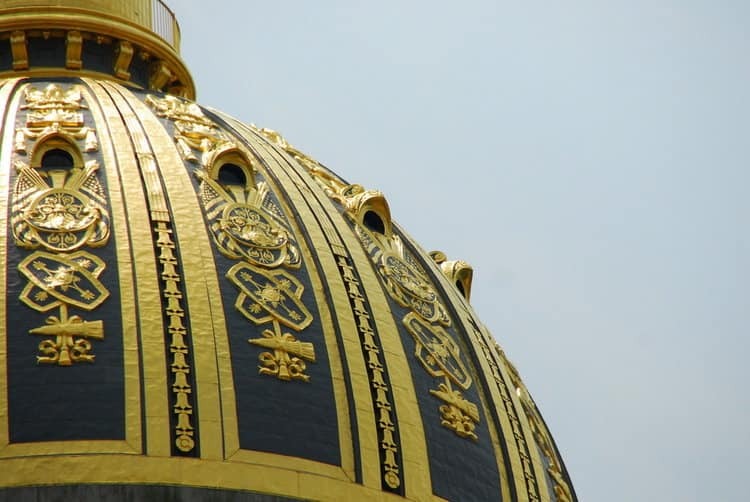 Canning Co. applied traditional gold leaf and gilding on the Charles Bulfinch dome and Lady Justice statue atop Connecticut’s Old State House. 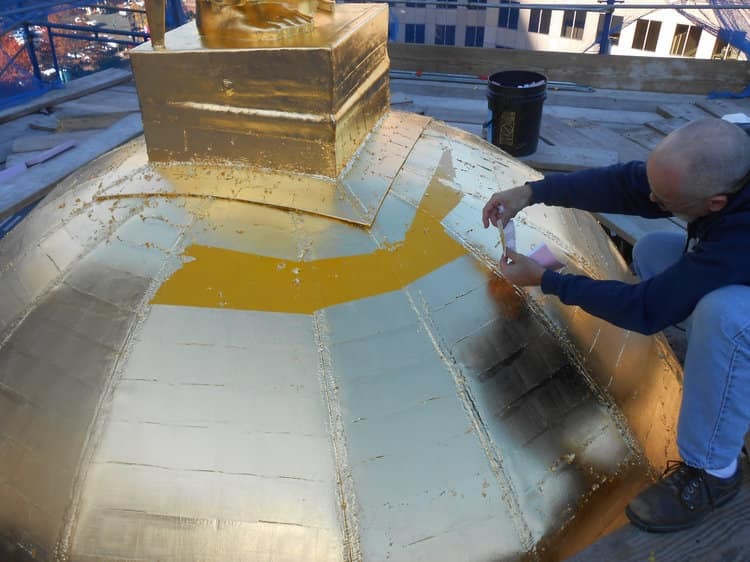 Our skilled restoration team used traditional gold leaf and gilding methods and materials to restor the exterior roof on San Francisco’s City Hall. 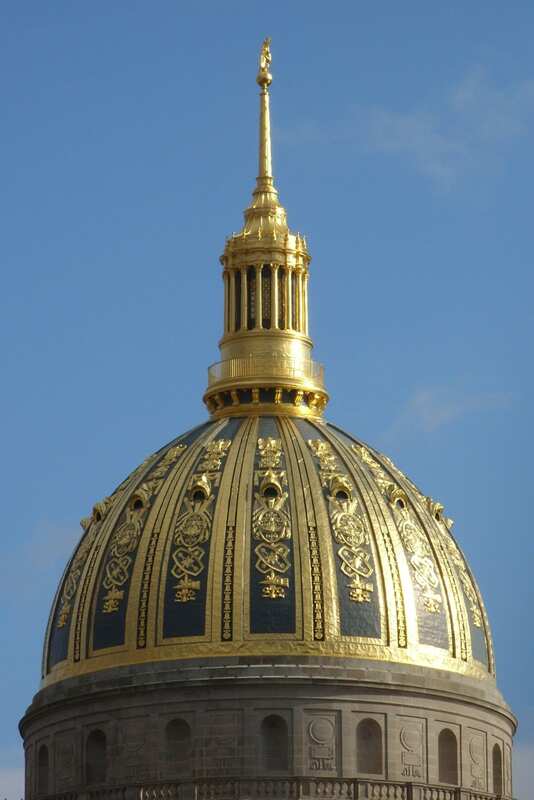 Our team of artisans restored and fabricated metal elements then applied sizing and gold leaf to specified areas of the West Virginia State Capitol.